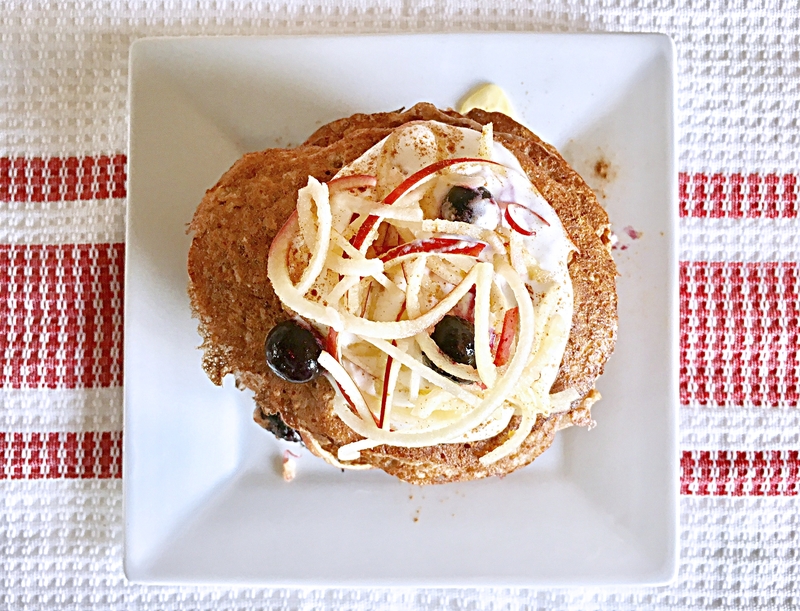 Red, white and blue Apple Cinnamon Noodle Pancakes with blueberries are a high in protein, a great way to start your day. You might want to celebrate the end of election season with this tasty breakfast treat. 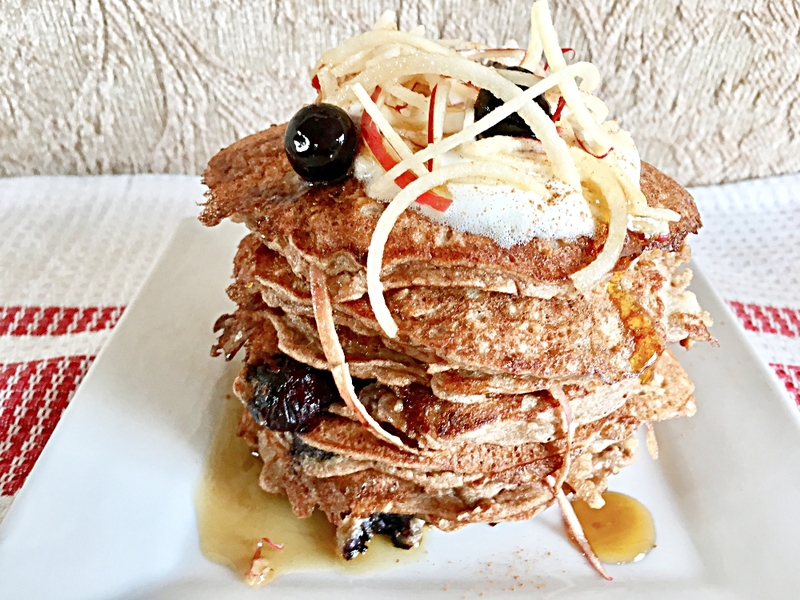 It doesn’t matter what side of the aisle you’re on, we can agree these Apple Cinnamon Noodle Pancakes will bring everyone together. 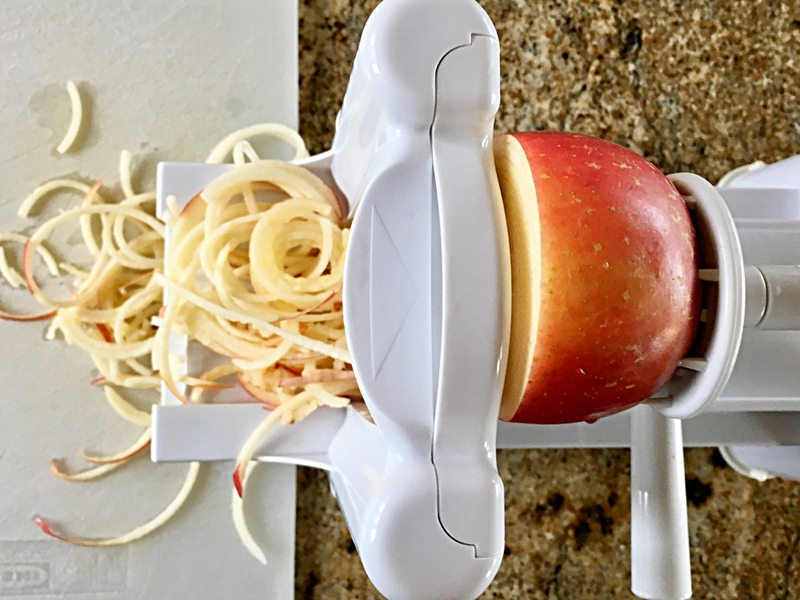 I love how the Paderno Spiralizer transforms an apple into red and white noodles. It’s kind of patriotic, don’t you think? Well, it’s a bit of a stretch, but we’ll go with it. The gluten free batter is all made in a food processor which makes it so easy. 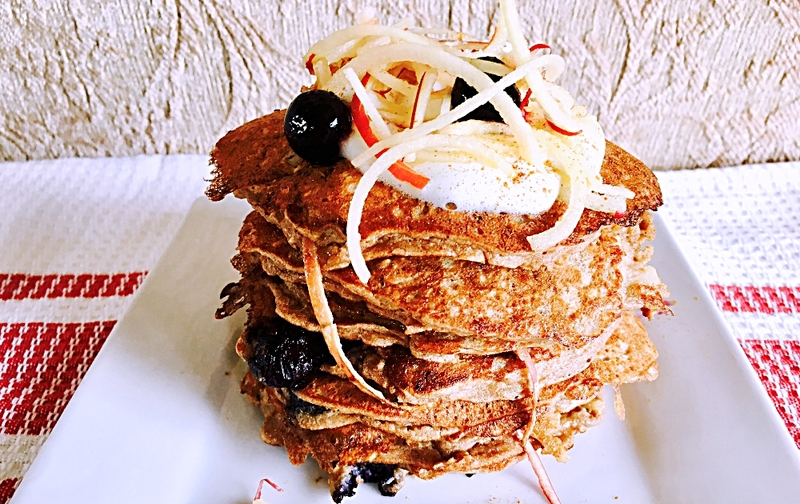 If you’re thinking these are too fussy to make on a weekday morning, think again. You can make the batter minus the fruit the night before, cover and refrigerate it, then add fruit in the morning. 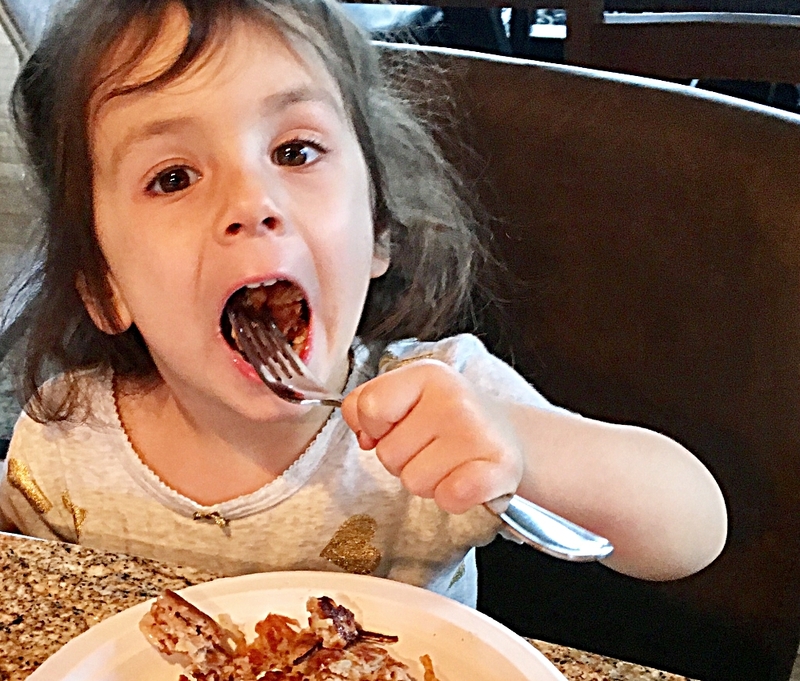 Why not send the kids out the door with a high protein warm breakfast in their bellies? Have I mentioned they are kid friendly? 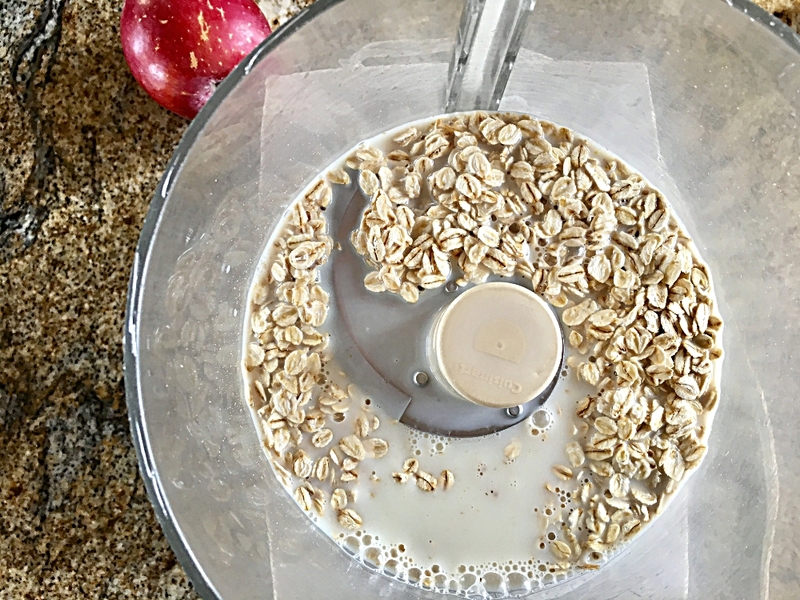 Directions: In the pitcher of a food processor combine rolled oats and almond milk. Let soak 5 minutes. While oats are soaking, spiralize the apple. 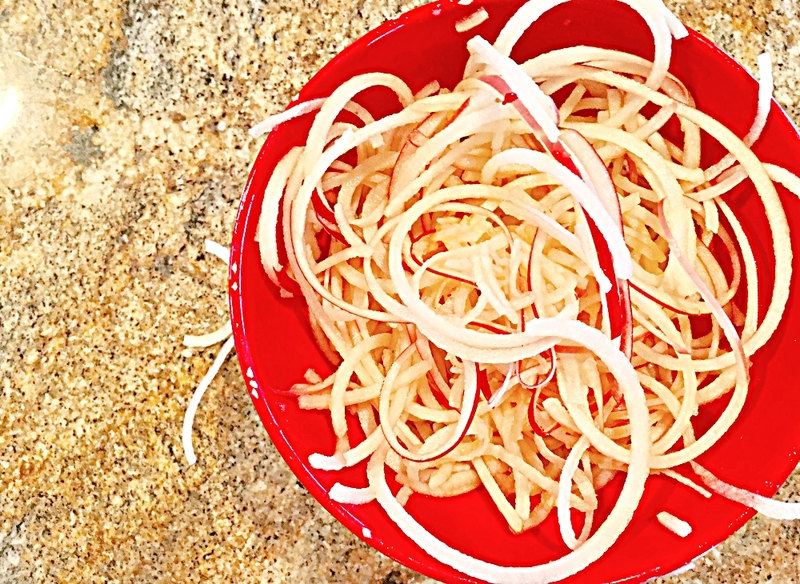 Trim apple noodles by cutting in shorter lengths, place in a bowl and toss with lemon juice. Set aside. 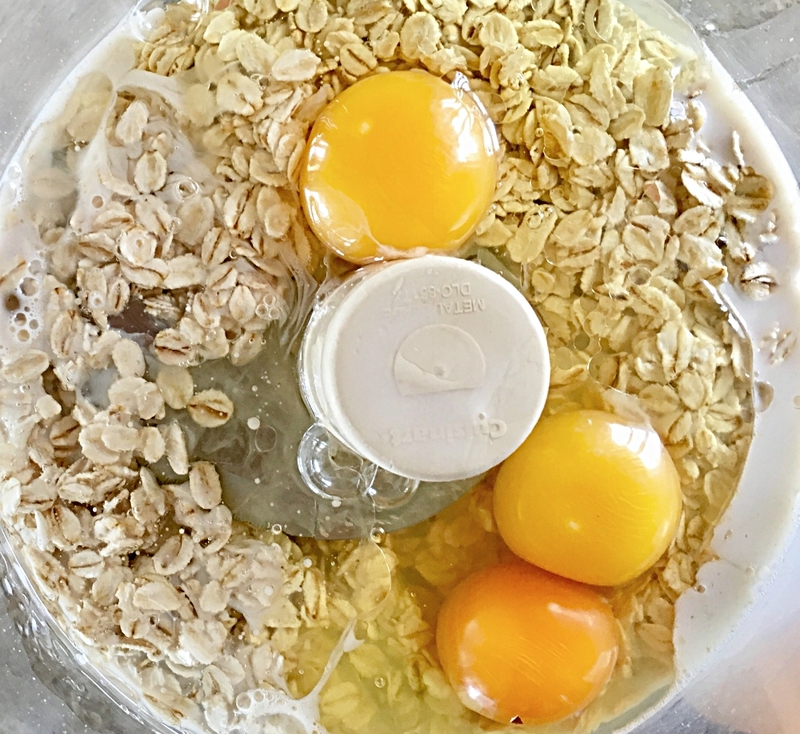 Add eggs and melted coconut oil to soaked oats. Pulse food processor to combine. 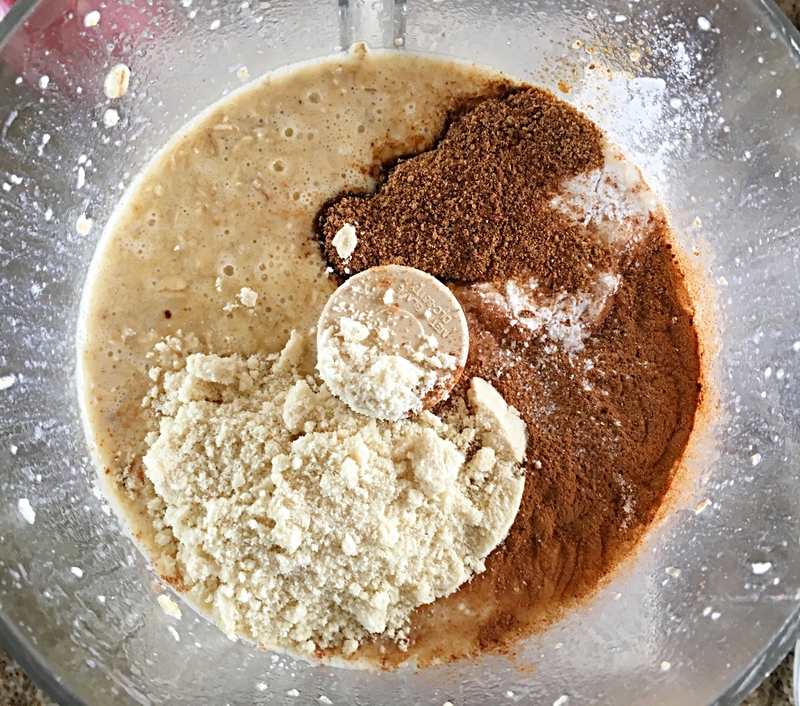 Add arrowroot powder, almond flour, coconut sugar, baking powder, sea salt, and cinnamon to pancake mix. Pulse to combine. 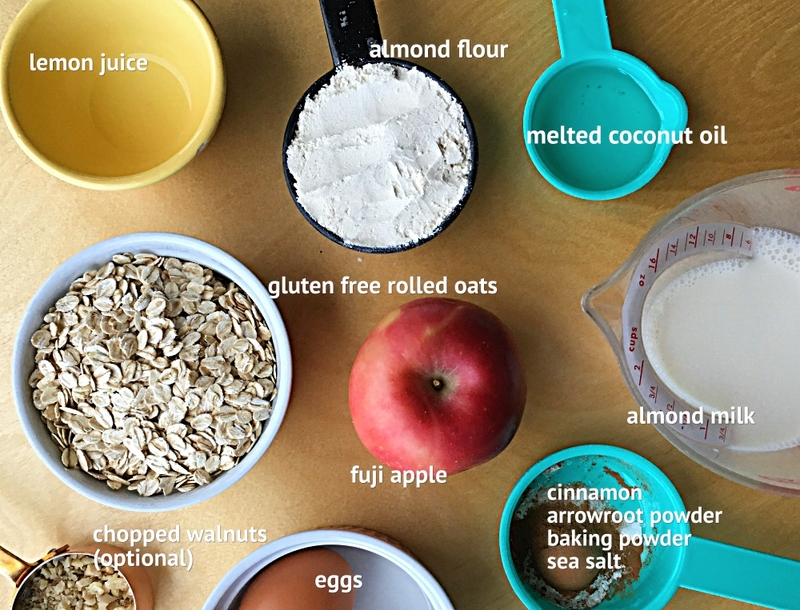 Pour contents into a medium sized mixing bowl. 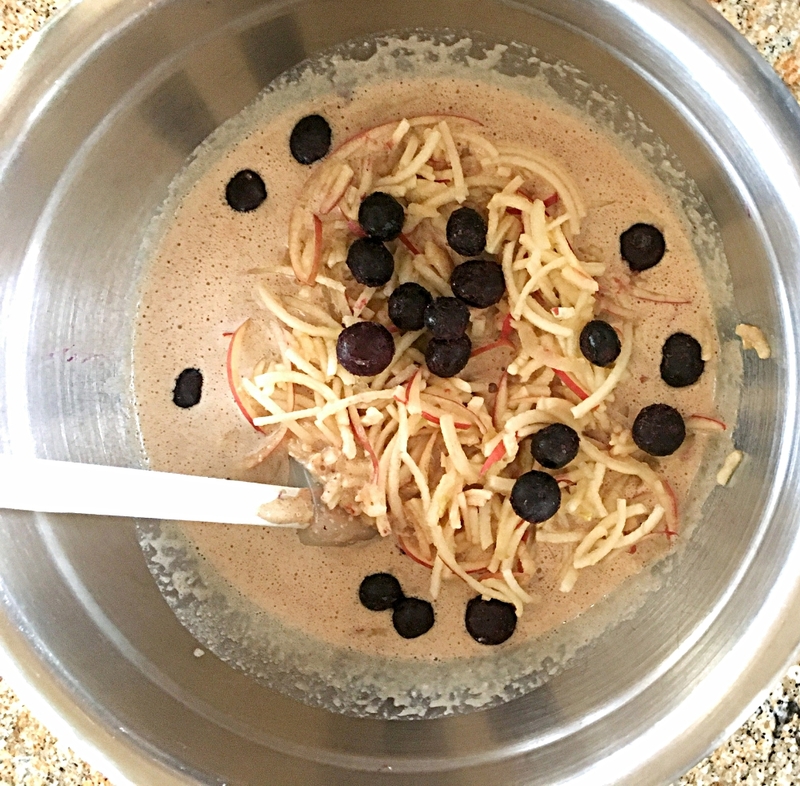 Fold in apple noodles, berries and nuts if using. Cook on a greased (I use coconut oil) skillet in 3 – 4 inch rounds, until bubbles appear on the surface and edges are dry. Flip and cook a few more minutes until golden. Serve topped with butter and syrup or your choice of dairy or coconut whipped cream topped with apples, cinnamon and syrup. With slight modifications, I tried this recipe and the grandkids and my daughter and myself thought it was great. I had to substitute a bit of rice flour because I didn’t have enough almond flour. I used some ground chia instead of arrowroot. The texture of the pancakes was so good. You really wouldn’t know you were eating something so healthy. Yay! So happy to hear you all liked these! Thanks Mary!